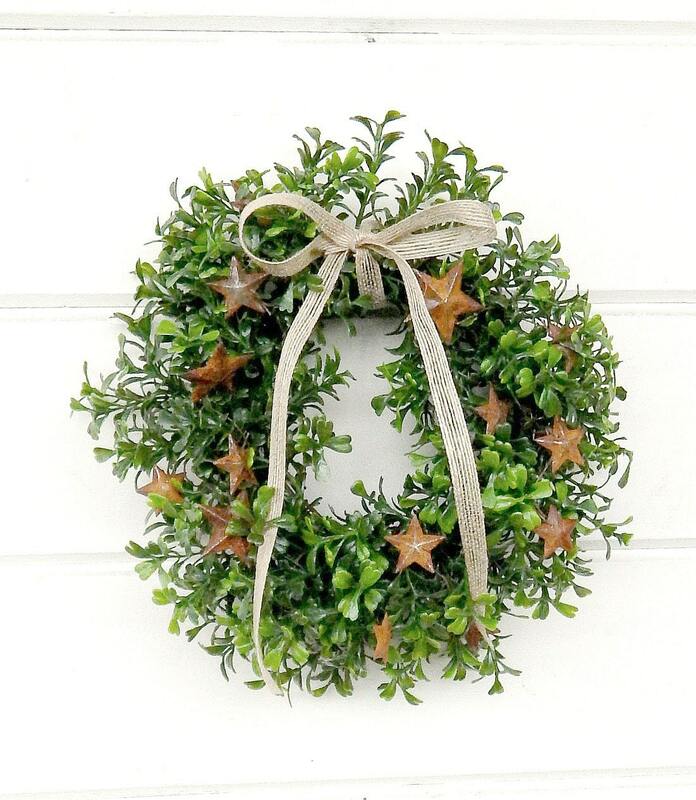 This wreath is very cute and very well made. I have it hanging in my dining room beside a green country hutch. It shipped on time and I would recommend this shop to anyone. 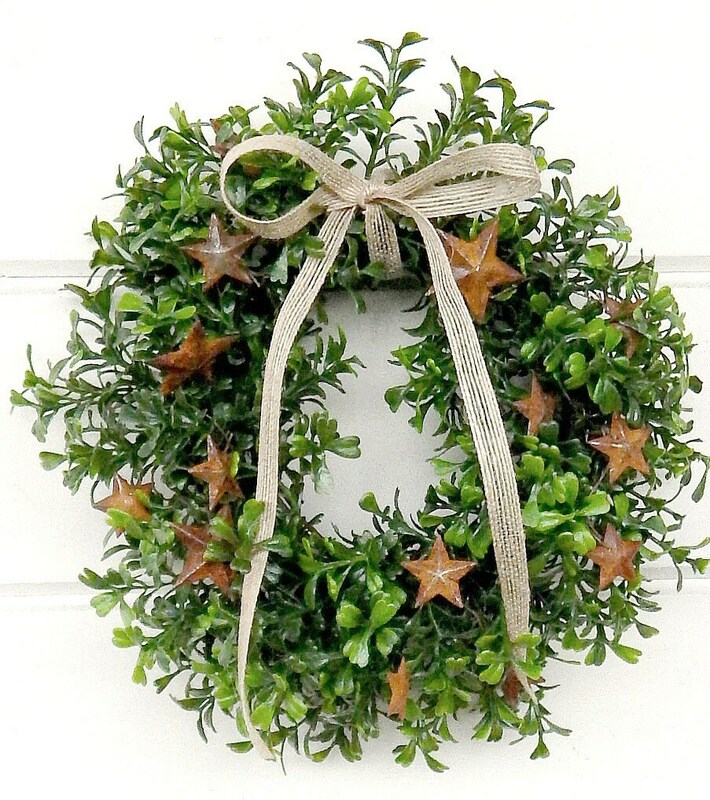 The quality of the wreath is great and it looks as if a lot of time was taken to make it. Highly recommen this shop. Really sweet wreaths for my windows in my cabin. Hung this wreath on an old window frame and hung over my bed. I love it! 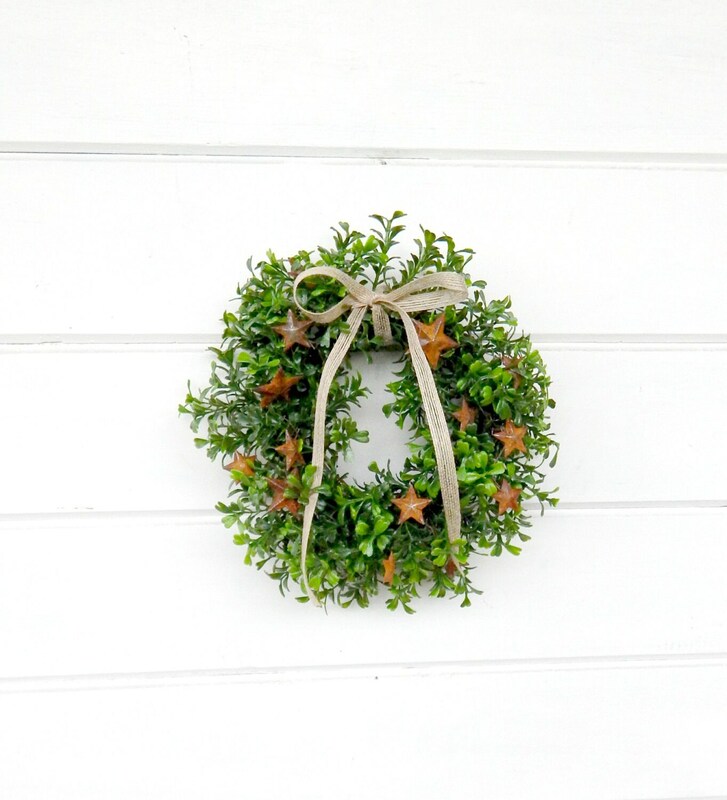 Love the little rusty stars too! Wow, fast shipping, arrived perfectly, and in great shape! Even better than expected! Smells delicious! Thanks so much!